Australia – the only country in the world that is also a continent – sparkles like a rare jewel between the South Pacific and Indian Oceans. This wild and beautiful country bursts with surprises that will mesmerize travelers, beginning with the Great Barrier Reef off the coast of Cairns. A kaleidoscope of color, Australia’s endangered iconic seascape begs to be seen. The pristine tropical rainforest of Queensland’s Gold Coast Hinterland; the hip coastal cities of Sydney, Melbourne, Brisbane, and Perth; and the arid mountains and savannahs of Australia’s red sand outback all vie for the traveler’s attention. 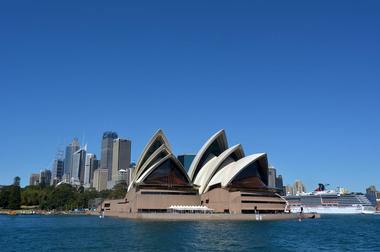 Here are 25 places that demand to be seen at the wonder down under. Sydney is Australia’s premier city and serves as the gateway to Asia, an ideal destination for international travelers from all walks of life. This vibrant and energetic city has a multitude of attractions, including world-class dining opportunities, award-winning shows and entertainment, idyllic beaches, and a bustling nightlife. Cultural attractions that aren’t to be missed are the extraordinary light sculptures of Vivid Sydney and the iconic Sydney Opera House. For those who love sports and adventure, the place to see is Sydney Olympic Park, home of the 2000 Olympics. Nature lovers will adore the several enchanting national parks and attractions, like free tours of the Royal Botanic Garden. 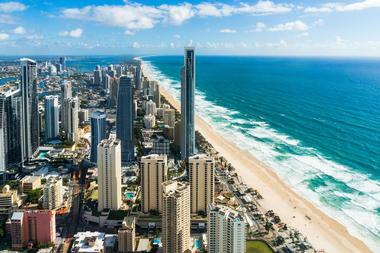 Among the numerous attractions on the Gold Coast are three must-sees, Broadbeach, Burleigh Heads, and Surfers Paradise. Broadbeach is Gold Coast’s swanky, waterfront neighborhood where visitors flock to hang out at Kurrawa Beach, shop at Pacific Fair, and get lucky at the Jupiter Casino. It’s the center for festivals, conventions, and buzzworthy events, all connected by the G:Link. Burleigh Heads is the epicenter of world-renowned surfing with international pro events. Other reasons to visit are Burleigh National Park, Burleigh Beach Tourist Park, and David Fleay Wildlife Park. Surfers Paradise, the jewel of Gold Coast, features the shops and cafés of Cavill Avenue, and the Q1 building with the SkyPoint observation deck. Melbourne is a bustling metropolitan city that serves as the gateway to Victoria’s natural springs, world-class wineries, alpine villages, peninsulas, and magnificent coastline. The city acts as a culture and arts epicenter with lively bars, covert boutiques, hidden cafes, and world-class restaurants lining their laneways. The Southbank precinct is the heart of all things artistic, featuring The Arts Centre, Recital Centre, MTC Malthouse, and the National Gallery of Victoria. At Federation Square, architecture meets the arts with highlights like the Ian Potter Centre, ACMI, and the Edge theatre. The Prahran and Windsor suburbs are ideal for independent spirits who enjoy a good vintage find and a diverse collection of boutiques. Sometimes referred to as Queensland’s gateway to the tropical north, Cairns is a relaxed city where visitors will appreciate the great outdoors. A must-see is the Great Barrier Reef – the largest coral reef system in the world. Whether the budget is small or large, there’s an option for everyone. 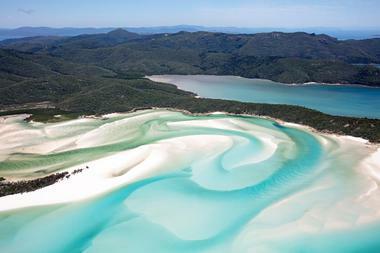 Whitsunday Islands, and Hayman and Lizard Islands are also popular. 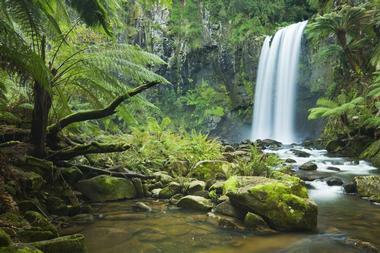 Another must-see is the Daintree Rainforest, inspiration for the movie Avatar, and the world’s oldest rainforest. Visitors can trek the rainforest, visit a rainforest community, take a canopy tour, and return to Cairns on a scenic train ride. Adventurers can go whitewater rafting, tubing, bungee jumping, and skydiving. 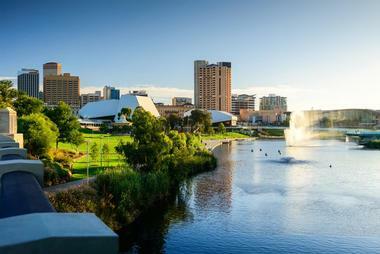 Travelers looking for a cosmopolitan Australian experience should start their adventure in Adelaide. A celebrated food and wine destination, the city also provides a fun foodie experience in the Adelaide Laneways, a former warehouse district repurposed into trendy bars and shops. A walking tour of Central Market is the best way to explore its hormone-free meats, seafood, and farm-fresh produce. History buffs will appreciate walking historical Port Adelaide. Adelaide offers a variety of beaches, including retro-bohemian Semaphore, surf happy Glenelg, laidback Henley, and quiet Grange. Sports fans will rejoice at Australian football in the Adelaide Oval, while wine lovers will find their piece of heaven in the Adelaide Hills surrounding the city. Brisbane is a green city in the making, offering travelers diverse experiences like the outdoor urban fun of Riverlife Adventure Center, the serene gardens of Mount Coot-tha and the City Botanic Gardens, the subtropical rainforests of D’Aguilar National Park, and the Australia Zoo. Redcliffe Jetty Markets artisanal market and James Street’s boutique retail shops will keep shoppers busy. Those with a penchant for history will want to explore Brisbane’s convict and World War II history. Judith Wright Contemporary Art Center, aka “the Judy,” is home to music, dance, circus, and cabaret entertainment. Visitors can soar above the city on the Wheel of Brisbane or climb Story Bridge for epic views, cruise the Brisbane River, or take a hop on brewery tour to explore the city. If experiencing other cultures is high on the must-do list, Broome and the Kimberley are the places to discover and learn about Aboriginal culture. Located in the northernmost corner of West Australia, the Kimberley has sailing charters that explore the Buccaneer Archipelago. Visitors can experience Horizontal Falls by boat or seaplane, tour a pearl farm at Willie Creek, or take a guided jeep tour of Dampier Peninsula, including the outstanding James Price Point beach. Broome walking or bus tours examine the Wild West history of the city. 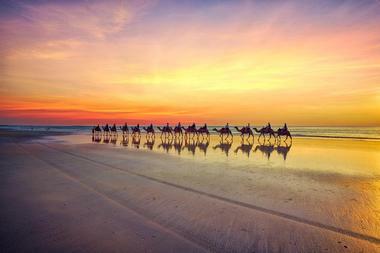 Two other must-do activities in Broome are the futuristic hovercraft flights out to sea, and the amazing camel rides on the beach at sunset. 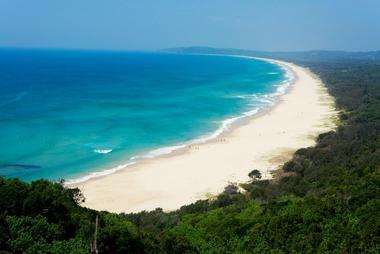 Byron Bay is situated on the northernmost coast of New South Wales. A popular tourist destination, it’s characterized by its many beaches and hinterland. The temperate climate is perfect for outdoor activities, of which there are plenty. Cape Byron Headland Reserve has been dubbed one of the most beautiful places on Earth, where visitors will find rugged cliffs with epic views of both the ocean and hinterland, rainforests, and wide sandy beaches. It features Cape Byron Lighthouse, Australia’s most easterly and most powerful lighthouse. With no less than seven nature reserves, visitors will find plunging waterfalls, rainforest communities, endangered species, secluded beaches, places for rock scrambling and bird watching, and more. If visitors want to get to the heart of the best things to see and do in Canberra, they only need find Lake Burley Griffen. The lake is at the city’s center and most of the top attractions ring its shoreline, including the boomerang-shaped New Parliament House that sits on its shore, forming one side of the Parliamentary Triangle. The National Carillon with 55 bronze bells sits on Aspen Island, one of six islands in the lake’s center. Other attractions include the solemn Australian War Memorial, the National Gallery, Questacon – the National Science and Technology Center, and many distinguished sites. 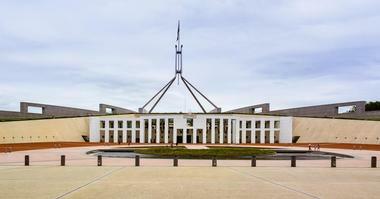 Canberra holds the key to Australia’s national identity. 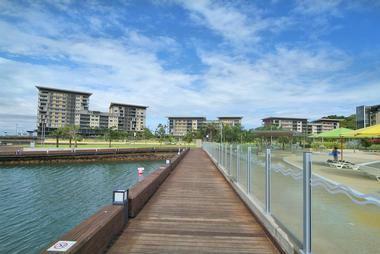 Darwin is the laidback capital of the Northern Territory with Asian and Aboriginal influences. 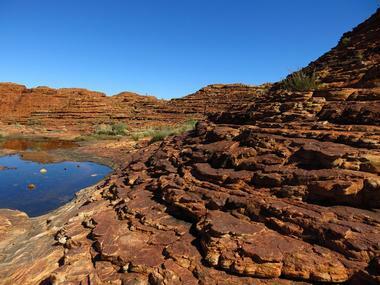 Visitors will find Aboriginal art in prominent museums and galleries here. The Nightcliff suburb offers a lively food van scene with Asian, Greek, and other cuisines. The beachside neighborhood is also perfect for strolls along the jetty or a dip in the shaded waterfront pool. Mindil Beach is the place to catch a sunset market with international food stalls, street performers, crafts, and music. Visitors can also set sail from Stokes Hill Wharf for a sunset harbor cruise. Berry Springs Nature Park south of the city offers snorkeling and swimming in natural pools. Fraser Island has the distinction of being the world’s largest sand island. The World Heritage-listed island features over 100 freshwater lakes, towering rainforests, sand dunes, a shipwreck, and spectacular sandstone cliffs. This is the place for eco-tourists and shore anglers. Visitors can take island cruises that explore the western side, guided island tours, and self-drive tours. Anglers will appreciate the fishing off Kingfisher Bay Resort jetty, Sandy Cape, or Indian Head. There are hot air balloon, helicopter, and airplane tours; nature and wildlife tours; ranger-guided four-wheeler tours; remote beaches; and crystal-clear lakes. Lake McKenzie is the most stunning of them all and a must-see. For nature lovers who also appreciate a good bottle of wine, Grampians National Park is the destination that satisfies. This nature reserve in Victoria is known for its rugged sandstone mountains, perfect for discovering dramatic rock formations, ancient Aboriginal rock art, and cascading waterfalls via mountain biking, four-wheeling, or trekking. Wildlife abounds here, including kangaroos, koalas, and emus. Highlights include Mackenzie Falls, Reeds Lookout and the Balconies overlooking Victoria Valley, Baroka Lookout overlooking Fyans Valley, Halls Gap – gateway to the park, and The Gap Vineyard. Grampians National Park is a popular place for locals to camp (or glamp), climb, and take a bush walk or a scenic drive. Great Otway National Park spans from Torquay to Princeton and continues up towards Colac after passing through the Otways hinterland. The expansive park features magnificent rugged coastlines, rock platforms, sandy beaches, and a windswept heathland. Towards the north, visitors will find an entirely different landscape of towering forests, tranquil lakes, thundering waterfalls, and ferny gullies. The park is also home to The Great Ocean Walk, stretching over 55 miles from the charming resort town of Apollo Bay to the Glenample Homestead, which neighbors the 12 Apostles. Nature enthusiasts will enjoy exploring the area on a mountain bike or via horseback, as well as picnicking at the various waterfalls. 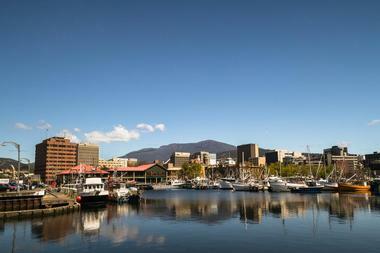 Hobart is the small, charming, capital city of Tasmania boasting big city sights, a dynamic food scene, bold art, and an abundance of natural attractions. Foodies will love it here, where they can find a wealth of dining experiences from the bustling restaurant strips in North Hobart or historic Salamanca to the waterfront restaurants along the city’s docks. Cultural experiences like visiting the MONA, the continent’s largest privately owned museum built within sandstone cliffs and featuring an eclectic collection of Old and New World art that simply can’t be missed. The 40,000-foot nature climb up Mount Wellington offers visitors extraordinary views of Hobart. 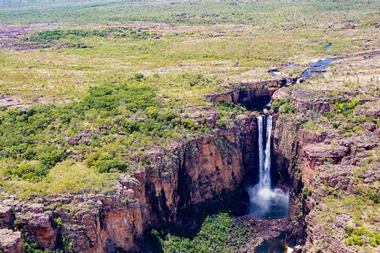 Kakadu National Park is one of the greatest nature reserves in the world and is on the World Heritage Area list for both its natural and cultural heritage. There are several remarkable experiences to be found within the park, including exploring the splendid natural rock art galleries, which feature over 50,000 years of Australia’s indigenous heritage. In the heart of the park is a fully indigenous-owned company, Kakadu Tourism, which provides visitors with some of the area’s most authentic tour opportunities. Their sunrise and sunset Yellow Water Cruises through Kakadu’s wetlands and four-wheeler tours to extraordinary destinations such as Boulder Creek, Twin Falls, and Gubara Rock Pools are among the most popular. Kangaroo Island is located in South Australia boasting over 300 miles of picturesque coastline featuring several pristine beaches. 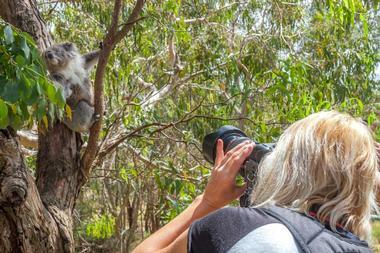 It’s the ideal setting to view wildlife in the bushland while enjoying various adventures. Visitors will see everything from sea lions lounging on the white sandy beaches to koalas slumbering in soaring eucalypts (gum trees). The island offers a wealth of natural attractions including Admirals Arch, Flinders Chase National Park, Hanson Bay Sanctuary, and the Penneshaw Penguin Center, all ideal for discovering the local wildlife. Extreme adventurers will love the various activities offered such as sandboarding, quad biking, adventure caving, and horseback riding. It’s also a foodie’s paradise with various gastronomic adventures. 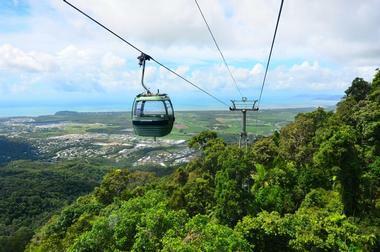 Kuranda is a beautiful and picturesque mountain village 15 miles northwest of Cairns in Far North Queensland. It is encircled by a World Heritage-listed tropical rainforest and is known for having an energetic arts and craft culture due to its artisan inhabitants. There is much to be seen in Kuranda, including the Australian Butterfly Sanctuary, Kuranda Koala Gardens, Birdworld Kuranda, Rainforestation Nature Park, and the Skyrail Rainforest Cableway. A highlight is the Kuranda Scenic Railway, which takes visitors on a journey through the scenic Barron Gorge National Park as they glide by gorgeous waterfalls, dense rainforest, and steep ravines. Margaret River is located in Western Australia about a 3-hour drive from Perth; it’s known for its beaches, wine, and sense of adventure. The area offers visitors over 90 local specialty tours including whale watching, horseback riding, hiking, and diving, as well as cultural and heritage activities. A tourist favorite are the cave and lighthouse tours, which take guests exploring underground beneath the surface of the Leeuwin Naturaliste Bridge where more than 150 extraordinary limestone-decorated caves reside. Beyond the touring experiences, visitors can enjoy the various world-class restaurants, microbreweries, incredible beaches, stunning natural wonders, and towering forests. 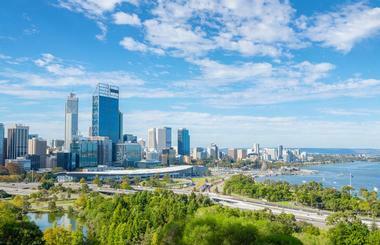 Located on Australia’s west coast, the vibrant city of Perth seamlessly blends together scenic parks and soft-sand beaches with a small, thriving metropolis filled with dynamic restaurants, quaint bars, and curated street art. There are a multitude of things to do here, whether it’s walking through leafy Kings Park, touring the Swan Valley vineyards, or exploring nearby Rottnest Island. Cultural experiences can be found in the Perth city center’s gallery and museum precinct or in the nearby city of Fremantle. Must-see attractions include swimming in the translucent waters of Cottesloe Beach, touring St. Mary’s Cathedral, visiting Fraser Avenue Lookout, and swimming with dolphins in Rockingham. 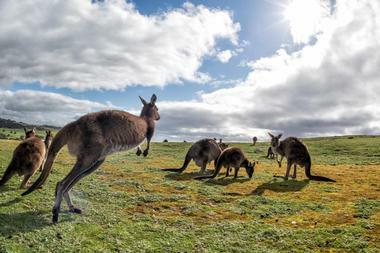 Phillip Island is the ideal family destination for those traveling to Australia. 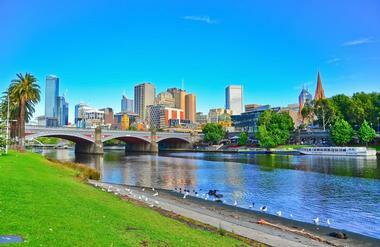 Just 90 minutes from Melbourne, it features pristine white beaches, amazing wildlife, and hi-octane motorsports. Wildlife viewing is one of the best treats on the island, where visitors can watch koalas and penguins in their natural habitats. It’s also an excellent place to enjoy the water with several sheltered swimming beaches, a rugged coastline ideal for surfing, incredible fishing hot spots, and even whale watching from May to October. The island’s main attraction in none other than the Phillip Island Grand Prix Circuit, a picturesque speed track where major motorsport events take place each year, like the MotoGP. 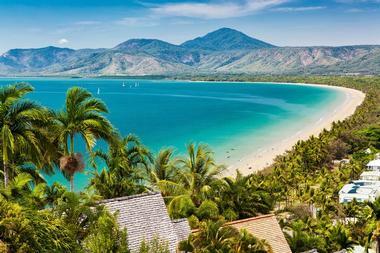 The beautiful Port Douglas takes just an hour to get to heading north from Cairns. Traveling along Great Barrier Reef Drive affords visitors a scenic drive with the forest on one side and the Coral Sea on the other. In this alluring climate where balmy days turn into tropical evenings with clear starry skies there is no shortage of things to do. It’s the only place in the world containing two natural gems on the World Heritage List, namely the rainforest of Daintree and the Great Barrier Reef. Cape Tribulation is a quaint village where these two extraordinary places meet, a hidden jewel all of its own. 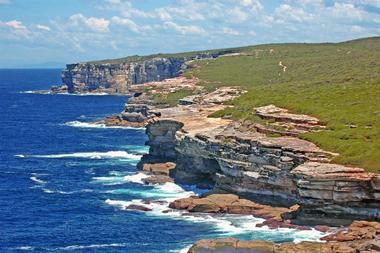 The Royal National Park is a Sydney Heritage-listed park established in 1879 and the second largest national park in the world. It’s an excellent day-trip excursion that provides a wide array of things to do, including bushwalking, fishing, bird watching, and whale watching. Affectionately known by locals as “the Royal” or “Nacho,” this almost 40,000-acre park is more like a big backyard offering visitors the chance to connect with nature and enjoy various water activities. Guests will find everything from pristine beaches to rainforest, where they can walk amongst fascinating plants, view native wildlife, surf, and cycle. It’s also the ideal place for camping, barbecuing, and picnicking. Townsville is a primary gateway to the Wet Tropics, Queensland outback, and Great Barrier Reef, offering visitors over 320 days of sunny skies each year, lush tropical gardens, and several national parks that are on the UNESCO World Heritage list. 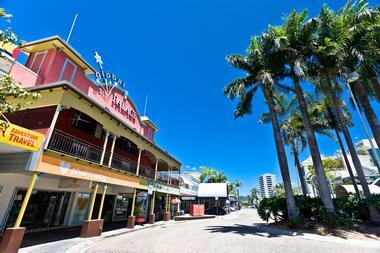 This vibrant and energetic city features Federation-style architecture, alfresco dining, boutique shopping, and gorgeous beaches. It is also the biggest garrison town in Australia, with several Australian Defense Force bases, making it an ideal city to explore their rich military history. 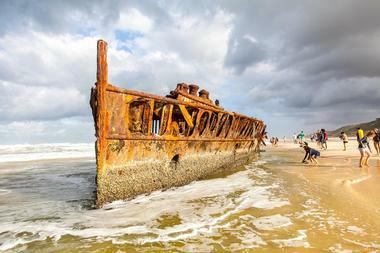 With so many things to do, it can be hard to know where to start, but highlights such as the SS Yongala – the country’s biggest unblemished shipwreck – shouldn’t be missed. 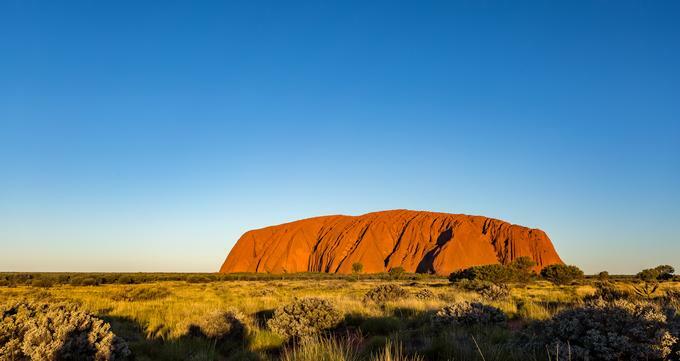 Uluru-Kata National Park is a World Heritage-listed destination and one of Australia’s most iconic symbols located within the country’s Red Centre. This ancient ochre-colored desert landscape is rich with Australian indigenous spirituality and culture, offering visitors many ways in which to explore it. Explorers can walk with an Aboriginal guide while learning about ancient traditions and tales from Dreamtime. Riding across this magnificent desert landscape while on the back of a camel, or behind the handles of a thundering Harley Davison, is another option. Visitors can even hit the skies via a hot air balloon or helicopter to take in these majestic surroundings. Just off the Queensland Coast in the center of the Great Barrier Reef are 74 magnificent and beautiful island wonders, the Whitsunday Islands. The bulk of the islands are uninhabited and national park islands, but four of them welcome visitors and offer a multitude of accommodations with the Great Barrier Reef just minutes away. 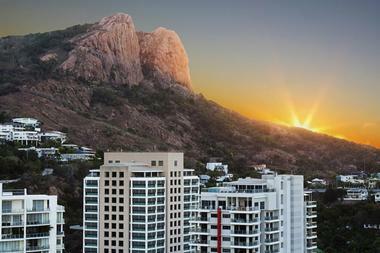 These islands are Hamilton Island, Hayman Island, Daydream Island, and Long Island. These Queensland resort islands offer family-friendly, activity-based, eco-friendly, luxury, foodie-inspired, and all-inclusive stay options. Visitors can experience activities such as sailing, swimming at secluded beaches, enjoying luxurious spa treatments, jet-skiing, skydiving, and helicopter sightseeing.